It’s time for PostcardMania’s monthly staff meeting, on a Monday at 3:00 p.m., as always. CEO Joy Gendusa and a fellow executive perch on the stairway leading to the second floor. Most of Gendusa’s 200 employees are seated below, gathered in an open area on the ground floor. Elsewhere in corporate America, staff meetings often mean bad news: they bring announcements of layoffs, reduced benefits, or other unwelcome tidings. But at this meeting the mood is upbeat—and that’s not the only thing that’s different. PostcardMania is an Inc. 500 direct-mail marketing firm whose 63,000+ customers are mainly small businesses and independent professionals. A one-stop supplier that develops, designs, prints and sends postcards and other mail campaigns, the company also offers end-to-end design and management services for web and email marketing programs. PostcardMania’s two-story, loft-like headquarters occupies three buildings and more than 60,000 square feet on the outskirts of downtown Clearwater. CEO and Founder Joy Gendusa is a 25-year Clearwater resident. Standing there on the stairs, Gendusa wears a smile, and clothes just as casual as her employees—a purple pullover, black leggings and boots. You wouldn’t make her as the CEO of a business that in 2013 topped all its previous records with $21 million in annual revenues, pumping $9.5 million in salaries and wages into the community. Gendusa launches the agenda with a brief rundown of new initiatives, company revenue goals, and other routine business, then steers the meeting into a conversational phase, asking new employees to identify themselves. Those who speak up are rewarded with applause from their fellow employees, and from Gendusa, who takes care to also acknowledge the new hires who chose to stay quiet, granting that, for some people, speaking to large groups isn’t easy. “I’m shy too—well, not really.” She grins. This is greeted with laughter, and encourages a few more employees to stand and be introduced. Gendusa moves on with happy news of business goals achieved. The atmosphere is distinctly chummy—the employees act as if they, too, own the place. How did Gendusa go into the direct-mail postcard business, a “dying” industry in 1998, and turn it into such a cheery success? Her warm management style seems to have something to do with it: As she leaves the meeting, the CEO stops to chat with several of her staff members. She seems to treat all of them—from receptionist to executives—as family. Later, in Gendusa’s spacious office, the energetic mother of two speaks to her background and management philosophy. When she arrived in Clearwater to study Scientology 25 years ago she entered the local workforce. 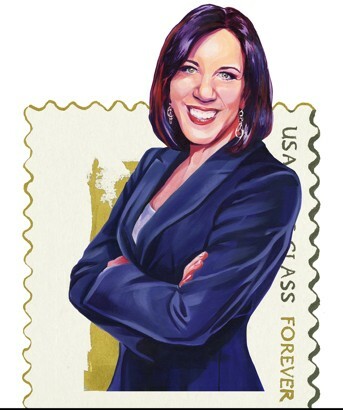 She founded PostcardMania nine years later, after realizing the apparent scarcity of well-paying and rewarding local jobs. As an example, she reaches for a Hubbard book on administration and shows several passages that describe a common sense, ethical approach to conducting business and supplying customers with more than “fair value” in any exchange of goods and services—a practice that has earned both the company and its founder/CEO an impressive collection of kudos: Inc. 500 status; Tampa Bay Business Journal Entrepreneur Business Woman of the Year, twice, most recently in 2013; the MarCom Creative Award; Hermes Gold Award; and an award from the Clearwater Chamber of Commerce that named PostcardMania Business of the Year. PostcardMania also donates products and services to nonprofit organizations, and opens its facility to benefit events. In addition to the salaries and wages paid to employees, company figures show that more than $11 million of the company’s annual revenues go into the local community for purchases from vendors and in payment of local sales, property and other taxes.